Blackjack is widely celebrated as one of the most well-known and popular of the classic casino table games. 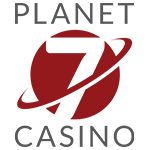 Online blackjack is also known as “21”, as the main aim to win the game is accumulating a hand totaling 21 in value. The biggest reason for its worldwide popularity is that it is an easy game to learn, but difficult to master. This makes it equally popular among amateur gamblers, as well as veterans. 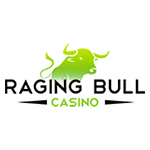 This traditional casino game is very popular among gambling veterans, as there is quite a lot of skill involved in winning regularly. The best thing about top online blackjack Australia is that it allows new players to enjoy the game online, in the comfort of their own home. This also removes the added pressure of having to play online blackjack next to seasoned veterans who may glare at you for making mistakes or taking your time. You can access this great game, enjoy the same odds, and play blackjack online Australia at your own speed without any interruptions from other players. If you carry on reading our handy guide, you will be a veteran in no time. With such a huge variety of classic table casino games, it is difficult to precisely say when blackjack originated. It is safe to say, however, that blackjack does have quite a few older games that one could say heavily influenced it. Such influences include Quinze, One-and-Thirty, Trente-et-Quatre, seven-and-a-half, and the more well-known baccarat. The similarity tying all these games together is that the player is required to accumulate a certain score or number of their hand value in order to win. The most common belief among gambling historians is that blackjack originated in France in the early 1700’s from a game called Vingt-Un, which directly translates into 21. The game first crossed the Atlantic and made its way to America in the 1800’s, with the first noted game being at the Indiana gambling hall. As soon as gambling halls started offering bigger payouts and rewards for landing a perfect hand of ace and jack, the popularity soared. This perfect hand became known as blackjack, which is where the modern game and its name took shape. The game was first legalised by the state of Nevada in 1931. The first online blackjack game version was released in the 1990’s. You can now play free online blackjack in Australia or play real online blackjack for money at one of the top online blackjack casinos that we recommend. The aim of the game is to get a hand valued at 21 or as close to as possible without going over 21. It is important to remember that players only need to beat the dealer and not each other like in poker. The dealer starts out by handing out two cards to each player, including the dealer themselves. Only one of the dealer’s cards will be face up and revealed to the players. All of the player’s cards will be face up. All faces cards are worth 10 points. Numbered cards hold their number in value. Aces are either worth one or eleven points. Stand – This option indicates that you are happy with the two cards you have been dealt and don’t wish the dealer to give you any further cards. Hit -This means that you feel your two cards are not quite valued high enough and request an extra card from the dealer. Players can hit as many times as they like until they either hit a value of 21 or “bust” by going over 21, meaning they forfeit their hand. Double Down – This option is a request to the dealer to give you only one more card. However, you will also need to double your original bet. You are only allowed to draw one extra card and cannot take a second regardless of what card you receive. Surrender – This action is allowed if you feel your hand is vastly inferior to the dealers and that you don’t have much chance of winning. You forfeit half of the amount you bet, but you will get half back. This is a good way to make your bankroll last longer if you are sure the dealer will land up beating you. You are not allowed to surrender if you have already hit or requested an extra card. This must be done at the start of your options. Split – This option is available to players if they get a double or pair of the same value cards in their initial hand. You will effectively be splitting your two cards into two hands. The dealer will deal each card a new card to make new hands. You will need to wager a new amount on one of the hands. Each hand is then played independently of each other instead of one. The aim of the game is to get a hand valued at 21 or as close to as possible, using the value of the cards. The game or round is over when the players or dealer bust by going over 21, or if the player surrenders. If the player does not surrender, and neither player nor dealer bust, the winner is whoever’s hand is closest to 21. The numbered cards have a value equal to their number. IE a seven is valued at 7. The ace can have two values depending on what the player needs. Aces can either be valued at 1 or 11. An ace is required to make blackjack. A blackjack hand is a hand of any card valued at 10 and an ace, to give players 21. A perfect blackjack is an ace and a jack of the same suit and often pays players out at more than a simple win. When playing blackjack online, players can expect to be dealt cards from six different decks. This is for the casino to ensure that players are not able to card count. How it works it that should you split Aces, they cannot be resplit, thereafter you will only receive one more card. It is important to keep in mind that if you split an Ace and receive a card that is valued at ten, it is not considered blackjack. Set yourself a betting limit and stick to it. This is great advice for any form of online gambling. Try not to drink too much alcohol when playing as this can impair your judgement and decision making. Always take the dealers face up card into consideration before deciding what to do. It is considered standard practice to always hit on a hard 8 or less. Always split two aces as this is a great way to get two blackjacks or close to. Always split two 8s. A hand of 16 is generally considered the worst hand in blackjack to start with. You should not split 10s or 5s. These are considered good hands. Players should stand on 17 when the dealer’s card shows 7 or less. If your hand totals 12 to 16 and the dealer has 7 or higher, the player should always hit. If you still don’t quite grasp how blackjack works, we suggest you head on over to one of our top-rated online casinos in Australia as they will allow you to try free online blackjack AU without having to commit real money online. You will be able to play online blackjack as long as you like and familiarise yourself the game, at no cost. Once you have come to grips with how the game is played and feel confident to take a bet on your new found skills then you can give online blackjack real money Australia a go. 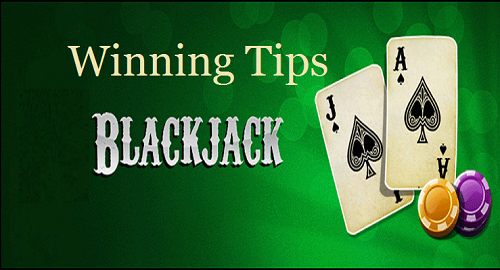 You can play blackjack online, at free no download versions at all of the top casinos online. 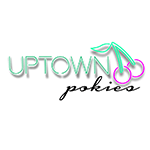 Aussie gamblers even have access to mobile online blackjack if they prefer playing online blackjack on the go. When you are online blackjack gambling, it is important that you have a working knowledge of the terms used in the game. That is why, we have provided you with a list of the terms that are most often used when playing the best online blackjack Australia games. Bust – This is a term used for when the player’s or dealer’s hand exceeds 21. They go bust and are eliminated from the round. Face up card – This refers to any card that is dealt face up on the table for all to see. In blackjack, this specifically refers to the one card of the dealer which is dealt face up for players to see. The hole card – This refers to the dealer’s other card which is dealt face down. It is only revealed after the players have had their turns. Push – This is when the round ends, and both dealer and players hands have the same values. The player will only win if both have 21. Otherwise, it is considered a draw. 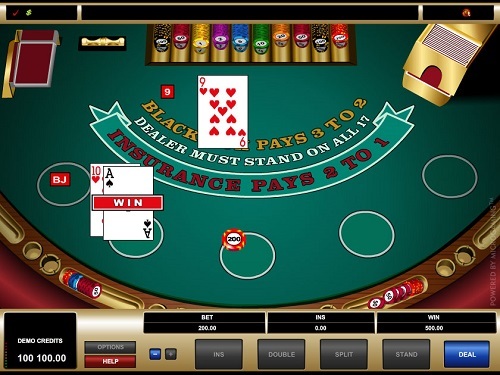 Insurance – In blackjack, if the dealers face up card is an ace, players are allowed to take out insurance. This means if the hole card is revealed to be a card valued 10, meaning the dealer now has blackjack, the player will be paid back their wager if they opted to take out insurance. If they didn’t take insurance, they would lose the round. Dealer peaks – If the dealers face up card is an ace, they will peak at their hole card to determine if they have blackjack or not. Can blackjack be played online for free? Yes, it can. Most free online casino games can be enjoyed online for free, like free online blackjack, at the best online casinos. 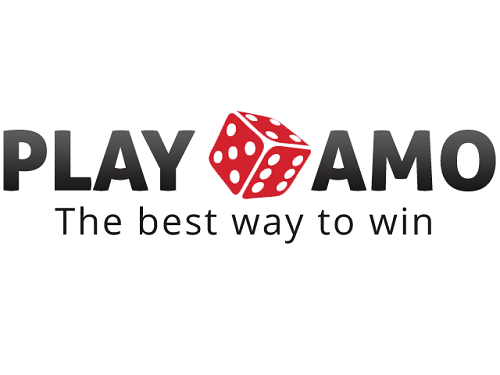 This allows players the chance to test games out and learn them for free without spending real money.What makes free play mode so cool is that you can often play free online blackjack with other players. When you are more confident on what the game is all about and would like to give real money online blackjack a try, then all you do is sign into your account, make a deposit and start betting. What does it mean to bust? This is when you draw too many cards, and your hand exceeds 21. If you bust you lose the round and forfeit your wager. Why shouldn’t you split tens? A pair of tens equals 20, which in blackjack is only beaten by 21. The odds of getting a 20 again on one of your split tens are quite low. So, you would be giving up a guaranteed hand of 20 for a hand that is most likely valued at less. Insurance refers to the opportunity to insure your hand against the dealer getting blackjack. Players are only allowed to take insurance if the face-up card of the dealer is an ace. We do not recommend taking out insurance ever as the odds of the dealer getting a ten to pair with their ace is about 30%. Absolutely! When gambling at a reputable online blackjack casino, the games will always be fair. The best online casinos have their random number generators regularly audited to ensure a fair gaming experience. Fair play casinos are definitely considered an online blackjack bonus. Can players count cards in blackjack? Players can indeed count cards. However, it is considered cheating by most casinos. Furthermore, to combat card counting, casinos and online casinos usually shuffle the deck of cards after each round making card counting impossible.